See how Get the Label reconnect with abandoners on their site. With a well optimized and intuitive website, the abandonment rate at GetTheLabel.com is below the average at 63%, but it still represents a significant amount of lost revenue. GetTheLabel.com contacted SaleCyle to create a cart abandonment campaign to recover these lost sales. 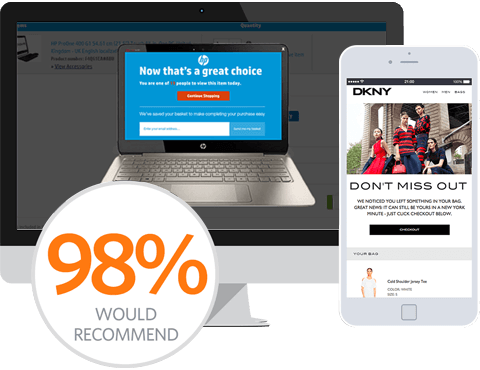 GetTheLabel.com wanted to go a step further than the typical cart recovery email, providing a personal shopper experience through dynamic product recommendations, as well as a strong sales message to add urgency to the customer purchase. 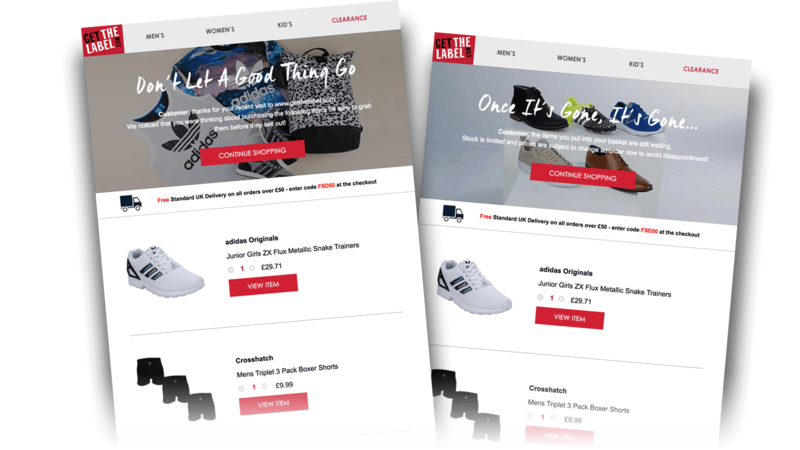 Using SaleCycle’s algorithm and monitoring of purchase behavior across GetTheLabel.com’s entire range, the email offers up-sell and cross-sell recommendations to each customer based on products left in the shopping cart. Integrating with Teradata eCircle to deliver the emails and ensure an incredible click-to-conversion of 35% completes the loop. We contact customers who have previously abandoned their shopping basket with a second email 48 hours later if they still haven’t made a purchase with us.